Downer has successfully completed work on the new Bulgana transmission lines and terminal station. 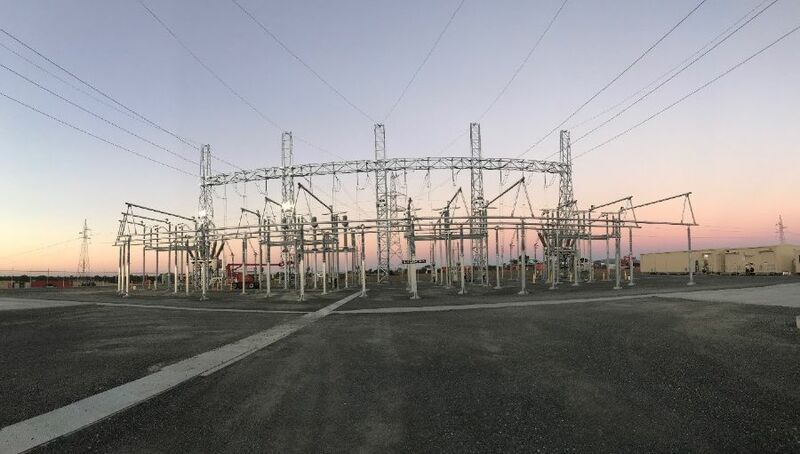 “The 220MW Bulgana Terminal Station and the two 33kV transmission lines we designed, constructed and commissioned forms a major part of the work AusNet Services, our customer, are doing to connect the Bulgana Green Power Hub to their Victorian transmission network and the national power grid,” said Lena Parker, Executive General Manager of Downer’s Renewables and Power Systems business. Bulgana Green Power Hub is a 204MW renewable electricity project comprising up to 56 wind turbines and battery storage. The diverse work involved helicopter stringing of the transmission lines, complex remote end system upgrades and new asset commissioning activities. “It is pleasing to see us deliver well in a challenging environment including hot weather, multi-dimensional scope and tight timeframes. The team should be very proud in exceeding our customer’s expectations – on time, on budget and most importantly, safely,” added Ms Parker. “Our delivery of the Bulgana transmission lines and terminal station is another notch on our belt that demonstrates our expertise in delivering leading renewable energy and power system solutions for our customers."